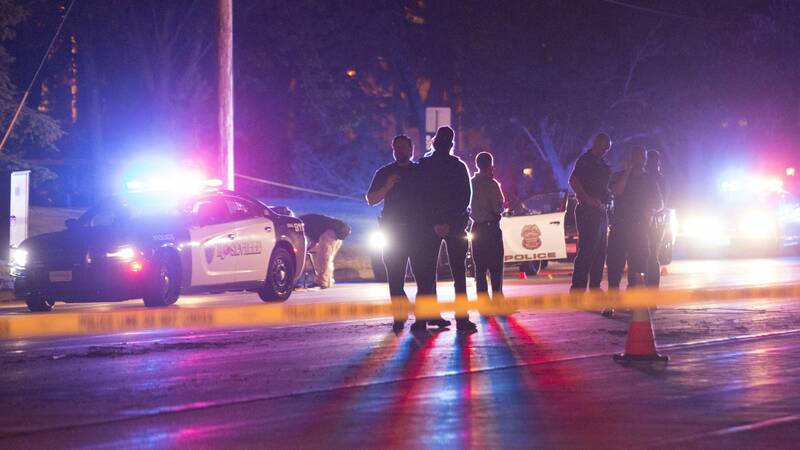 Updated July 7, 12:55 p.m. | Posted July 6, 11:59 p.m.
A St. Anthony police officer shot and killed an African-American man during a traffic stop Wednesday night in Falcon Heights with much of the bloody aftermath apparently captured on Facebook Live. Gov. Mark Dayton said Thursday morning he's pressing for a federal investigation. "We are shocked and horrified by what occurred last night," he said, promising to do "everything in his power" to do a complete investigation and adding, "Justice will be served in Minnesota." In Washington, D.C., FBI Director James Comey told lawmakers he was briefed on the Minnesota case "and I expect we'll be involved." At the White House, a spokesperson said President Barack Obama was "deeply disturbed" by reports of the Falcon Heights shooting. 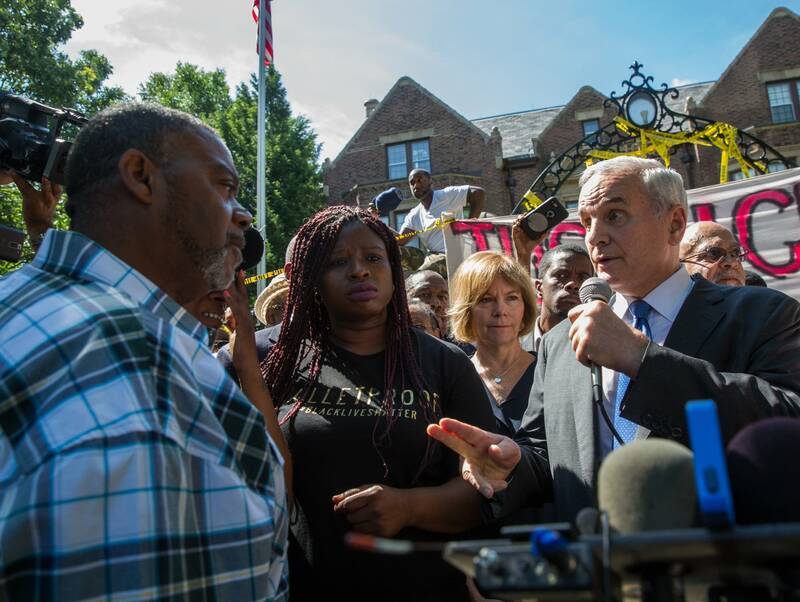 Dayton spoke to reporters outside the governor's residence in St. Paul alongside Minneapolis NAACP President Nekima Levy-Pounds, Castile's girlfriend Diamond Reynolds, the Rev. Danny Givens, and Clarence Castile, Philando's uncle. 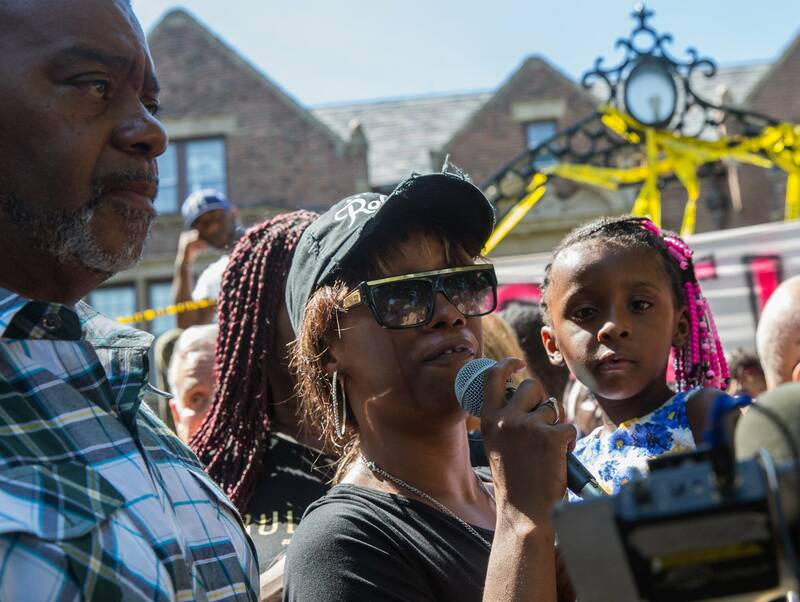 "Even demanding justice is not going to bring Philando back, but the prayer is that this will not happen to anyone else in Minnesota," Levy-Pounds said. Reynolds, who filmed and posted the apparent aftermath of the shooting on Facebook, said: "I wanted everyone across America ... to know that our people, our police, who are supposed to serve and protect us, are the ones that are killing us." Reynolds said she was "treated like a criminal" and that the officers took her phone away and were not able to return it. Reynolds' young daughter was also in the car; Reynolds said that the car was pulled over because of a broken taillight. Warning: This video is graphic and may be disturbing. 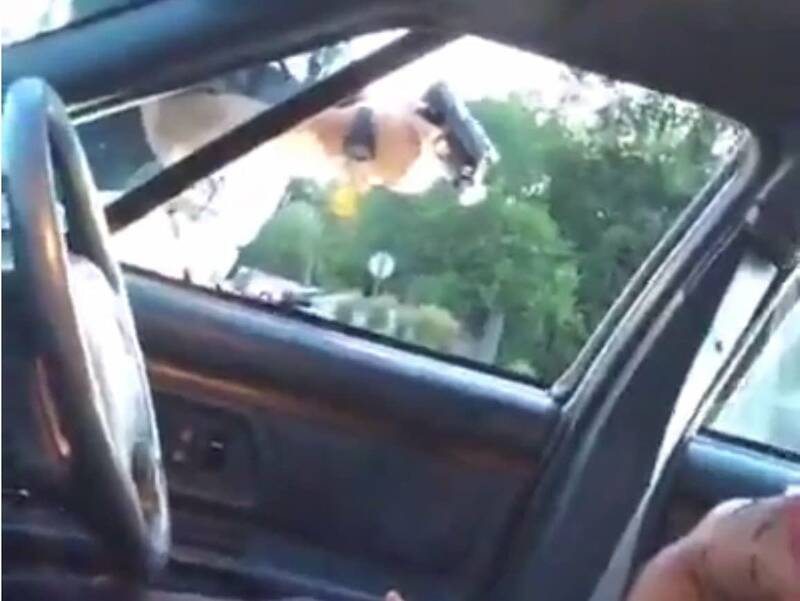 In the video, Reynolds can be heard saying Castile was licensed to carry a weapon, that he told the officer he had a gun and was just trying to get out his ID when he was shot "for no apparent reason." An officer outside the car in the video is heard saying, "I told him not to reach for it!" "Oh my God, please don't tell me he's dead," Reynolds says in the video. Later, her daughter can be heard trying to comfort her, saying, "It's OK. I'm right here with you." St. Anthony police said no one else was injured in the shooting and a handgun was recovered at the scene. The Minnesota Bureau of Criminal Apprehension is investigating. At a brief news conference overnight, St. Anthony interim police chief Jon Mangseth said "the officer involved" had been put on paid administrative leave. Mangseth did not take questions. 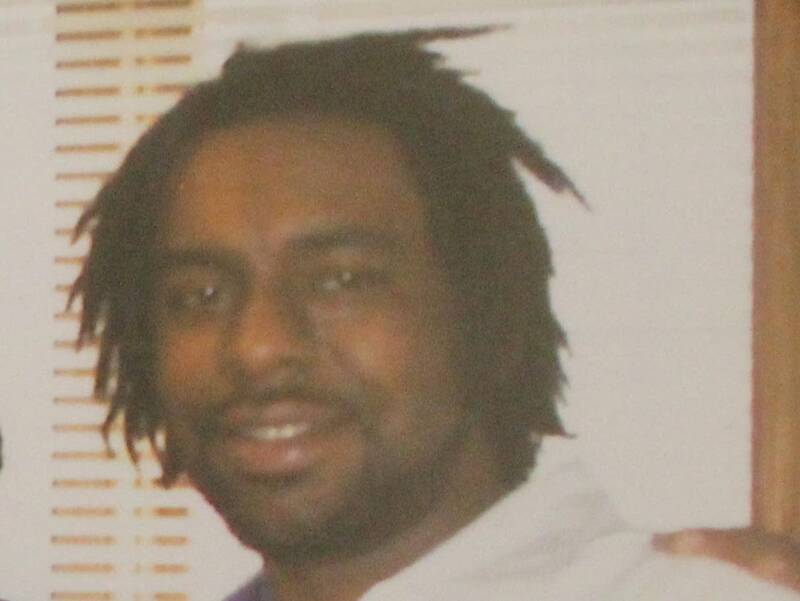 Castile was taken to Hennepin County Medical Center. Outside the hospital, family members held hands in a circle and prayed. St. Paul school officials said Castile was a 2001 graduate of St. Paul Central High School. He worked as a cafeteria aide since November 2002. He was promoted to a nutrition services supervisor in August 2014. "Colleagues describe him as a team player who maintained great relationships with staff and students alike," the district said in a statement. "He had a cheerful disposition and his colleagues enjoyed working with him. He was quick to greet former coworkers with a smile and hug." The traffic stop came at about 9 p.m. in the area of Larpenteur Avenue and Fry Street in Falcon Heights, near the Minnesota State Fair grounds. On Thursday, Castile's mother said she had instructed her son to always "comply" if he was ever stopped by law enforcement. 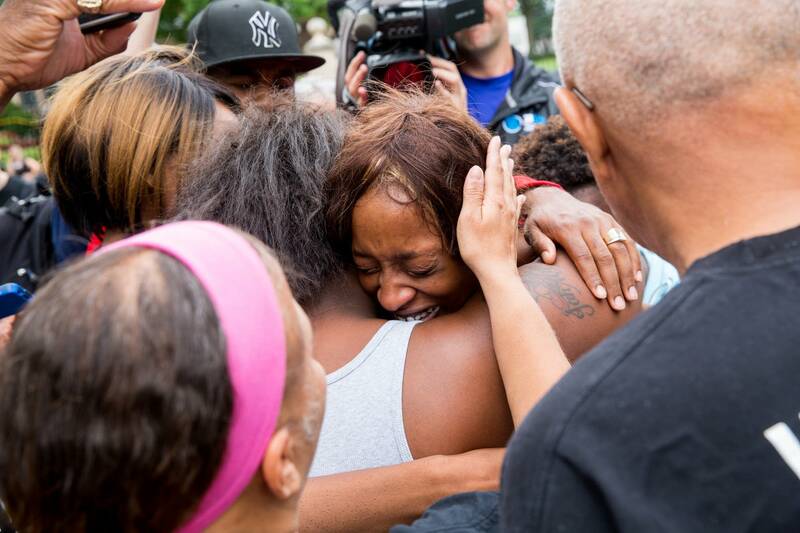 Valerie Castile told CNN that her son didn't deserve "to be shot down like this." She said her son was just "black in the wrong place" and that he was a victim of "a silent war against African-American people." She also said she's angry that officials wouldn't let her identify her son's body and that she will have to wait until after the autopsy to see him. 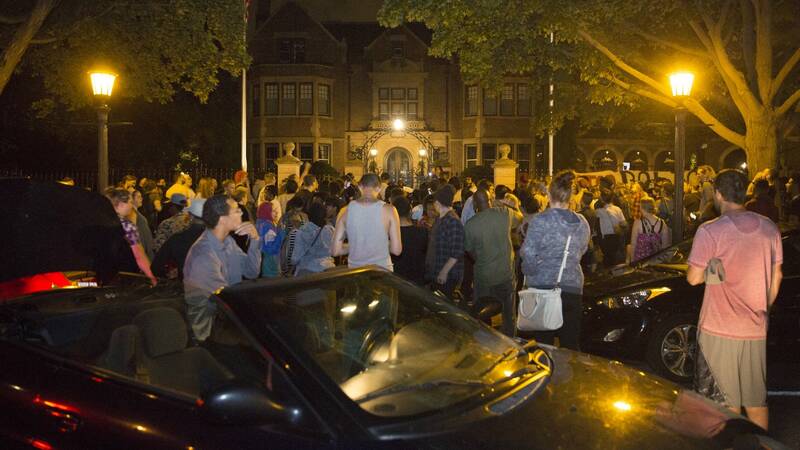 By 2:15 a.m., protesters had gathered outside the governor's residence on Summit Avenue in St. Paul. They placed police tape around the gates and chanted "No justice, no peace! Prosecute the police! Wake up!" Around 3 a.m., police blocked off Summit Avenue for several blocks around the governor's office. St. Paul police Cmdr. Steve Frazer said crowd members would be allowed to express their free speech rights. "We're just going to divert traffic so nobody drives into this group of people." "We trust our government, at least we're supposed to, to be able to hire these people who are supposed to protect and serve us and when they kill one of us without just cause, there should be accountability,"Levy-Pounds told the overnight protesters. "People should not be executed, shot at point blank range and we're told that it's OK."
The Falcon Heights shooting comes just weeks after federal authorities declined to pursue charges against two Minneapolis officers in the Nov. 15 police shooting death of Jamar Clark. Hennepin County prosecutors also declined to press criminal charges against those officers. Police use of force, particularly against minorities, has returned to the national spotlight since the video-recorded fatal shooting earlier this week of 37-year-old Alton Sterling by police in Baton Rouge, La. The U.S. Justice Department on Wednesday launched a civil rights investigation into the shooting, which took place after Sterling, who was black, scuffled with two white police officers outside a convenience store. According the American Civil Liberties Union of Minnesota, Castile became the 123rd black person to be killed by law enforcement this year in the U.S.
"We mourn him today because the police failed to protect and serve him," the Minnesota ACLU said in a statement. "If they had done their job, he would still be alive. Overnight, outside the governor's mansion, Frazer, the St. Paul police commander, acknowledged "tensions are high locally and nationally. We just want everybody here to be heard and get their messages out in a safe manner." MPR News reporters Tom Scheck, Tim Nelson, Cody Nelson and the Associated Press contributed to this report.